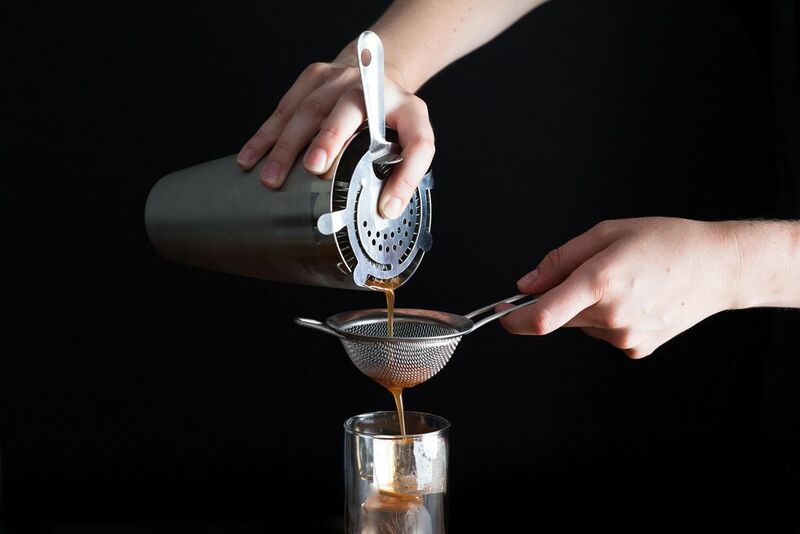 If you're like us, you look to the seasons for what to cook -- and what to drink. Get to the market, and we'll show you what to do with your haul. Today: Managing Editor Kenzi Wilbur makes a case for muddling your market produce. Just add booze. Genetics dictate that I’m predisposed to liking whiskey and campfires more than I am lawn cocktails and pastel cardigans. And yet every summer, circa July, I deviate for a Pimm’s Cup. If you don’t do the same, you should: I’ve never met anyone who doesn’t like a Pimm’s Cup. Much like the Tom Collins, it’s an agreeable soul, a refreshing blend of things that everybody is at least friendly with and nobody hates. You can set a pitcher of them out at a party without host anxiety. You can make enough for everyone to have two -- okay, three -- and never have to send anyone home. 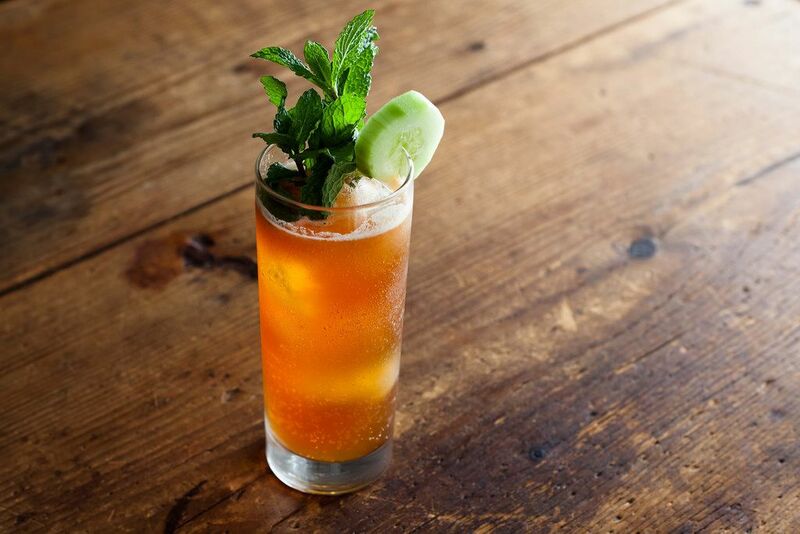 Pimm’s Cups are an easy, refreshing, low-alcohol win. 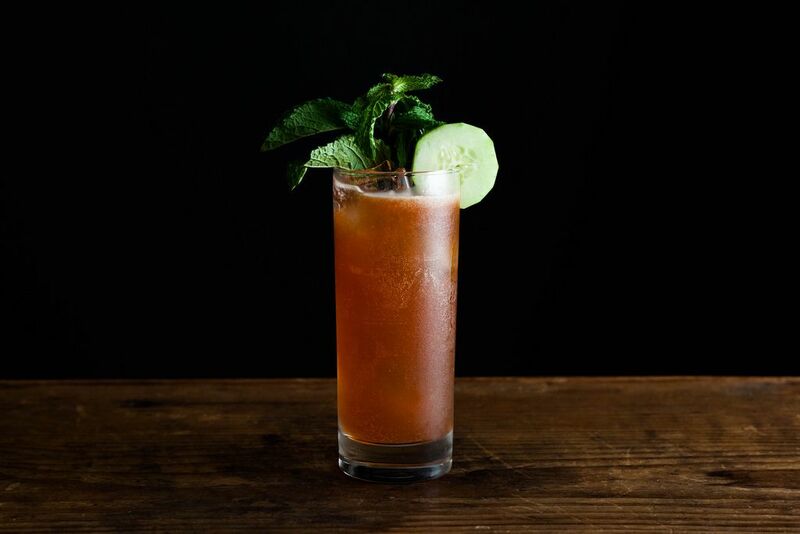 An oft-adapted blend of cucumber, strawberries, mint, and booze, the Pimm’s Cup cherry-picks the best produce from the recipes you thought you were going to make (the salad, shortcakes, and pesto can wait), and it gently suggests you combine it with a gin-based liqueur instead. It may be a fruit salad of a cocktail, but it’s not a pushover: herbal botanicals (a "secret" recipe, according to the bottle's label) give it just enough funk going down. And if you top it with ginger ale instead of lemonade, it has a subtle sting. John Ginnetti -- the owner of 116 Crown in New Haven, where I had my first -- adds a squeeze of lemon before shaking to keep everything from skewing sweet. The fatal mistake most Pimm’s Cups make is not embracing the whole garden-in-the-glass thing it already has going. It wants to be fruit-logged. It begs for a second cucumber slice. (Or, as Ginnetti says, at least “2 fingers’ worth” in the bottom of your shaker.) Here’s another thing to love: This cocktail measures itself in fingers and palmfuls and squeezes. For a drink with such a prim reputation, its execution is a little more country than we give it credit for. Here’s how Ginnetti does it, and how you should do it, too: Throw two thick cucumber slices, a strawberry or two, and that palmful of mint into a shaker. Muddle like you mean it. Pour in the Pimm’s No. 1, add a squeeze of lemon to make sure everything is paying attention, then shake like it’s not 90 degrees outside. If you’re looking for something a little more wide awake, add two squeezes of lemon. If you lean sweeter, toss your berries, as Ginnetti often does, in a slick of honey before you muddle them. If it’s booze you’re after, you can replace a measure of your Pimm’s with gin. I don’t, because the point of a Pimm’s cup is not to make a man out of you. But it’s open if you are. You’ll want to double strain, lest you end up with something closer to a smoothie than a cocktail. And you’ll want to go all out with your garnishes. It's summer; your glass should look precisely like a circus. They do make a bramble and elderflower one as a " special edition" I wouldn't recommend it. Whatever happened to Pimm's Cups 2 through 5? I remember them from the China Fleet Club in Hong Kong in the early 60's. My gosh I love your writing. Had my first Pimm's Cup at the Chelsea Flower Show in 2011, and it was lovely! A year later, the Philadelphia Flower Show had a British theme, and when we asked at the cocktail kiosks for a Pimm's, the bartender misheard us and added an additional "P" to the beverage's name... Philly being just a bit less genteel than London! We settled for the Chardonnay instead. I raise my Pimm's Cup to this wonderful article and set of photos. The Kenzi and Eric duo arrive at perfection once again!! This is my favorite thing in the whole world. Had my first Pimm's Cup 2 months ago, and I was smitten at the first sip. Really there's nothing not to like in a Pimm's Cup. You just need a porch (or a fire escape, which works in a pinch). I'll third that--great article, gorgeous photos. Thank you! You and two red bowls are too nice. We need to have a Brooklyn meet-up. Yes! A picnic? I'm in. You bring the drinks. 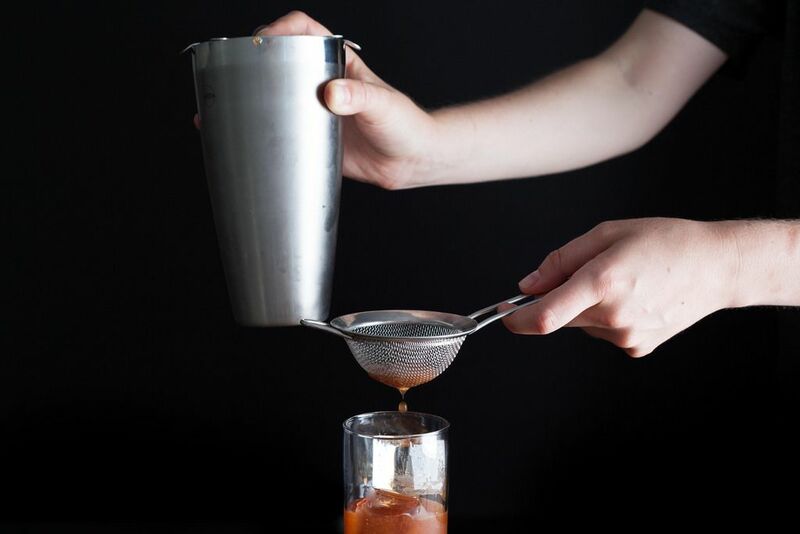 I second cate -- a beautifully written piece on one of my favorite drinks. Thank you for this! I found this really interesting to read, as as a Brit, using the same measured attitude towards mixing up Pimm's (I still think making it as a single cocktail instead of a jug is strange, but I can see its benefits) is pretty alien to me! Perfect piece on a perfect cocktail. Thanks, Kenzi.